Limit the Number of Concurrent Users with Super Multi-User Limiter for Clarion. 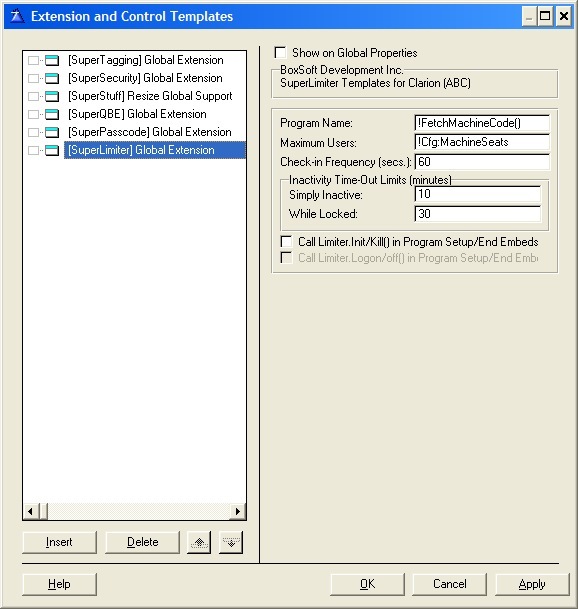 Limit network access to your program. Control the number of concurrent users the system. Our Web Site Copyright © 2009-2019 Mitten Software, Inc.